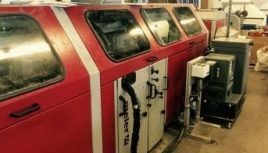 Our systems are compatible with perfect binders from Muller Martini, Kolbus, Wohlenberg, Horizon, Heidelberg, Duplo and all leading suppliers of perfect binders. ImanSolutions and Meler will design ,supply and install the necessary brackets and supports to insure a successfully installation. 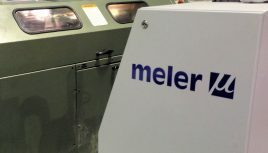 Meler bookbinding solutions for the application of EVA and PUR adhesives on all types of perfect binder. In recent years, bookbinding has adapted to the new challenges of the digital era. 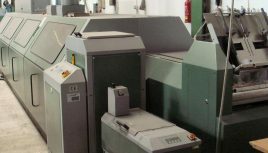 The use of sophisticated designs and varied substrates has led to the demand for new adhesive technology and better application. 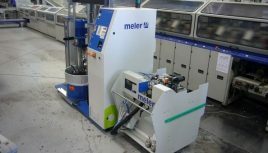 Meler´s cutting-edge technologies, personalised products and efficient after- sales service, make it an ideal partner in this new market. 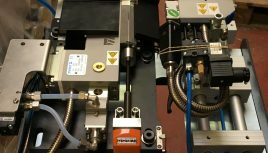 We manufacture small binder solutions with a range of melting units compatible with all entry level perfect binder main makes: Horizon, Duplo and CP Bourg. 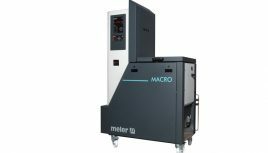 Meler has also developed mid and high range binder solutions with a variety of drum unloaders and non-stop melting units compatible with all kind of Binders including :-Muller Martini (Panda, Tigra, Pantera, Star, Acoro, Bolero and Corona binders). Wohlenberg (City, Master and Champion binders) and Kolbus (KM470, KM472, KM473 and KM600 binders). What types of books can Meler be used for? 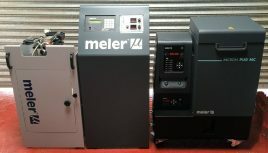 Wide range of Meler PUR melters:From 2kg to 200 kg capacity. 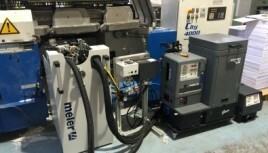 Gear pump technology delivers consistent adhesive flow rate and hose pressure. Hoses with different diameters and lengths. Strong, flexible and low power consumption. 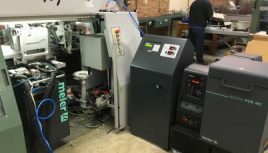 Easy programming of glue line start and stop position and glue line length. Minimal moving parts means low maintenance. Simple cleaning procedure means no wasted glue. Designed and custom built to fit any binder type. Wheel in, & Wheel out for fast changeover of adhesive type. 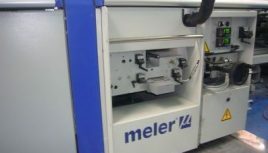 We conduct a study of your machinery to determine compatibility. 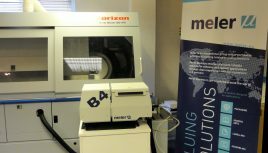 Application thicknesses between 0.3 and 0.4 mm, half of that in traditional applications. Accurate glue line length reduces contamination in the three knife trimmer. Better cleaning and less maintenance than with roller systems. 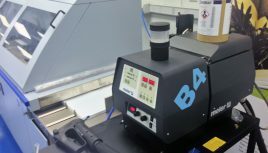 Perfect adhesive preservation, with the use of dry air or nitrogen (inert atmosphere). 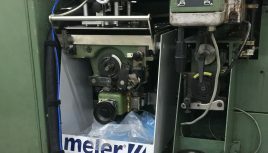 With milled books it avoids the costly sewing operation. 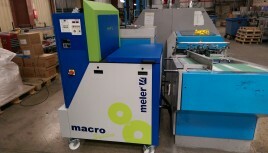 Binder survey to determine if the machine is suitable for conversion to PUR. Manufacture and supply interchangeable mounting trolleys designed to fit your specific machine. 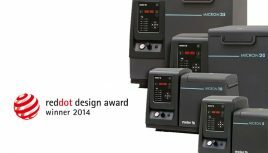 Rapid, no fuss installation and minimal production disruption. 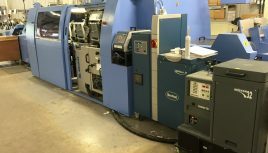 Commissioning and operator training by specialist bookbinders. We adapt to the specific needs of each application. Spare parts supplied from stock, often within 24 hours of order. 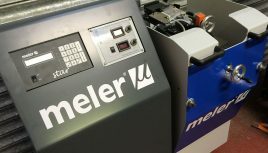 Meler technology is designed and manufactured in-house. Made in the EU. The highest quality and best performance at competitive prices. Equipment and spare parts sent the following day. International operations with worldwide distribution. Global technical support direct from the head office, subsidiaries and partners. Wide range of Meler melters. 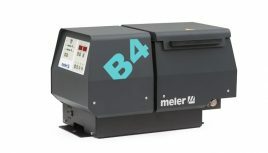 Capable of processing basic and complex jobs. Capable of folding and sticking. Starting with die-cut cardboard. 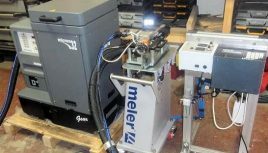 Folding and gluing machines designed for a wide variety of items.